If it takes a village to raise a child, the same can be said about a grizzly bear in the front country. 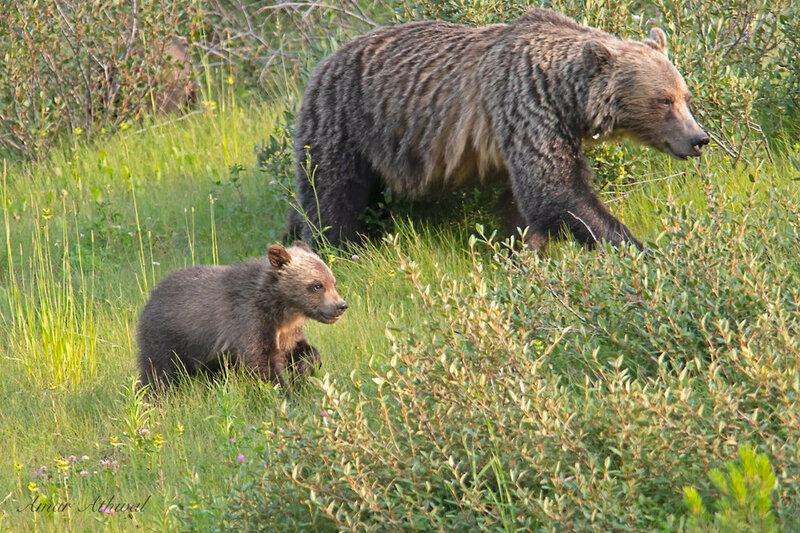 A grizzly growing up near people will be spotted by visitors and locals, they will pass on the sightings to dispatch. Dispatch will inform resource conservation officers dealing with wildlife, supported by the wardens and wildlife guardians and others. If the bear decides it wants to spend time where people live, visit and play, wildlife officers can be dealing with the same bear several times a day. Keeping the bear and people safe, giving the bear space to eat and move without the two legged mammals getting in the way. Providing a balance between letting the bear making a living and providing an opportunity for the people to see and or get a picture when it's safe to do so. The risk factors increase when you include moving vehicles in the mix, even more so when the road is a four lane highway and its middle of a very busy summer day and you have close to hundred vehicles stopped. People wanting to or do cross over four lanes, sometimes with kids by their side as vehicles drive by 90 km or faster, just to see a bear who is moving on the good (the side road is not on) side of the fence or across a wildlife overpass. Day in and day out, these are some of the constant challenges for the bears and those protecting wildlife and people face. All this for many small and one ultimate payoff, adding a new generation to the ecosystem. For eight years two grizzly sisters were looked after when help was needed, this May those two came out of their den with their first cubs. Here's one of them with one cub by her side and the other still playing in the shrubs behind them on a quiet evening in the mountains.